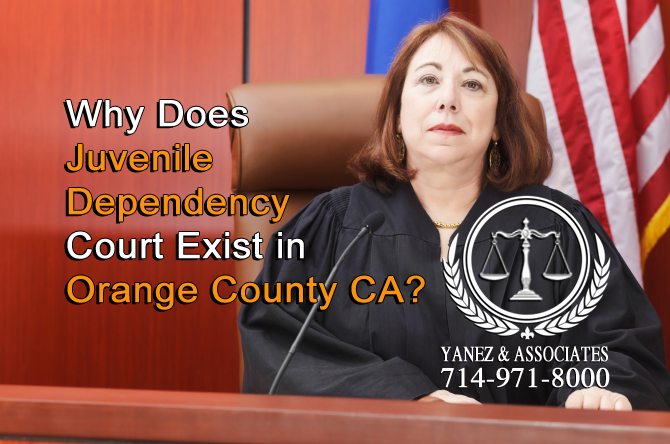 Juvenile Dependency FAQ: Why Does Juvenile Dependency Court Exist in Orange County California? Juvenile dependency is an area of law that deals with minor children who are neglected or abused in their homes or other places of care. The court’s job is to protect the health and wellbeing of the child. When a child faces abuse or neglect at home or in another area of his or her life, a social worker may be called to investigate, and a case may be opened to determine whether the child is safe in his or her current home. Dealing with dependency court is a big deal for both children and parents. Children can be removed from their homes, parents can potentially lose their parental rights, and the law comes into the home. Remember that the goal of dependency court is to protect the child’s health, safety, and wellbeing. As with any legal case involving family and children, working with an attorney is a great way to understand the laws in place, how they work, how they apply to your situation, and how you can get through your legal issue in a way that protects your child’s best interests. Why Does Juvenile Dependency Court Exist? What is the purpose of the Juvenile Dependency Court in Orange County, California? Children do have rights under California law. However, as minors, they are very limited in enforcing these rights, and as children, they may not always know when their rights are being violated. Juvenile dependency court is meant to protect the rights of children in California. It promotes stability in family life, allows children to live safe, healthy lives, and aims to keep families together. The goals of juvenile dependency court focus on the needs of children and their families. The court and its personnel will work to promote the following. • All decisions that the court makes are meant to focus on the child’s safety, health, and wellbeing. The child’s best interests are the first priority. • Every case has one social worker or welfare professional whose job it is to investigate the child’s life and create an organized plan for the family. This person will help the family understand what services the state has available to them, and help implement a practical solution throughout the entirety of the case. • In California, children who are removed from their homes will live in only one other home before they move to a permanent home. While it would be ideal to return every child to his or her family, this is not always the case, but every child should be placed in a permanent home within one year of removal. • All welfare professionals are here to help the families with which they work. Especially when it comes to children, going to court can be stressful, and in many cases, unnecessary. That’s where alternative dispute resolution comes into play, and welfare professionals are here to help. • A welfare professional will collect information about the child, his or her life, and family. • If a child is removed from his or her home, then the child’s needs, from education, mental and physical health care, etc. will be taken care of. So, if a child is in a situation where abuse or neglect is occurring or being allowed, how does dependency court get involved in the first place? 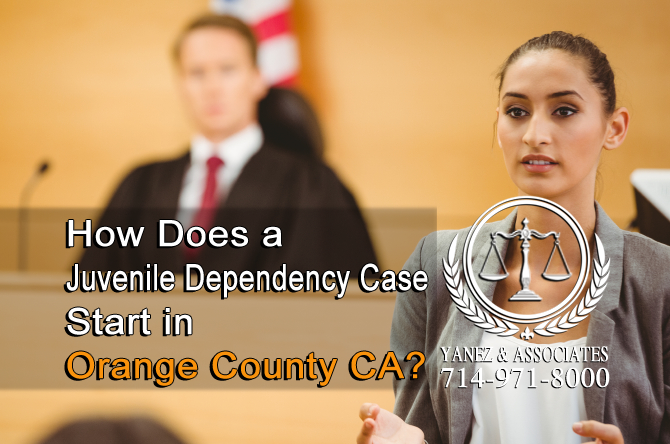 How Does a Juvenile Dependency Case Start in Orange County California? What is the process of the Juvenile Dependency Court in Orange County California? To learn, view the video provided below. Juvenile dependency cases begin when a child faces neglect or abuse in his or her life. This can happen in several ways, and if you notice a child is being abused or neglected, you should report it as soon as possible. So, what constitutes child abuse or neglect? If a parent or guardian is abusing a child or fails to provide a safe environment for a child to live in, there are grounds for involving the juvenile dependency court. The same is true if a child is in danger of abuse, or is at a high risk of not being taken care of by a parent, guardian, or another adult who is responsible for the child. Another aspect of child abuse and neglect that is a viable way to involve juvenile dependency court is the act of allowing abuse or neglect to happen. If a parent or guardian allows or fails to protect a child from, a person who is abusing or neglecting a child, juvenile dependency court aims to stop it. This means that a parent who hires a babysitter who fails to care for the child is responsible for abuse or neglect. A parent needs to choose carefully when selecting other caregivers for a child. How are child abuse or neglect reported? Anyone can make a report about a child being abused or neglected. If you notice that a child is facing either neglect or abuse, you can contact a social worker or the police on behalf of the child. Both police and social workers are required to investigate any report, and usually, a police officer will contact a social worker to conduct the investigation. What happens when a report is made? Social workers who are notified of instances of child abuse or child neglect will start by speaking with the parents, guardians, children, family friends, relatives, and anyone else who plays a role in the child’s life. If your child is at school, a social worker may speak with the child without a parent or guardian being present. The law allows the social worker to speak to the child without consent of a parent or guardian and without a court order, as long as a police officer is not present, but the social worker does need to notify the parent or guardian that the conversation took place. After investigating the situation, a social worker will usually do one of the following four things. • Nothing - If the social worker concludes, based on investigating the child’s life that it is unlikely that abuse or neglect are a part of the child’s life, the entire case can end here. Sometimes, situations are misinterpreted, and a social worker can be called for the wrong reasons, but it is always best for the child to look into the situation first, just in case. • Offer voluntary services to the family - Children do not come with instruction manuals, and raising children can be a learning experience for parents. The state offers free services, which your social worker can help you find, understand, and use, that will help parents learn to parent their children in a safe, effective manner. • Leave the child at home but file a petition - If the social worker senses that a child is, or could be, in danger of abuse or neglect, he or she may leave the child in the home, but file a petition with the court requesting that a case be opened regarding the child’s safety. • Remove the child and file a petition - When a child is removed from his or her home, it means that the social worker determined that it was unsafe for the child to be there. The child is usually taken either to the other parent’s home, the home of a relative or to a foster home. Within two days of removing the child from his or her home, the social worker must file a petition with the court. This petition is a request to the court to open a case to protect the child’s safety and wellbeing. What Can I Do if My Child is Removed from My Home and placed in the Orange County Juvenile Hall? What Can I Do if My Child is placed in juvenile hall "Juvenile Detention Center"? As a child is being removed, or before the child is removed, a social worker will likely ask for information about the other parent and other relatives. To protect your child from being placed with strangers, you should give the social worker information for other people your child knows, like other relatives. You may be able to request visits with your child even if he or she cannot live with you, but every case is different, and you will have to work with your social worker. In addition to visitation, you retain the right to legal custody of your child in many ways even if the child has been removed from your home. It is important to stay active in your child’s life, especially at school, and to continue making decisions on your child’s behalf. You should also attend the first court hearing, which will take place within a week of your child being removed from your home. Your social worker can give you more information about when and where it will take place. If you are located in Orange County or Los Angeles and your minor is facing a juvenile dependency case, contact our Juvenile Dependency Court Lawyers for a free consultation. If you end up in court, a juvenile dependency case can go several ways, but parental rights may be at stake. It is always important to work with an attorney if you wish to retain custodial rights. Most courts will favor returning a child to his or her family, but it may take work on the part of the parent and his or her lawyer to make this happen. If you have questions about a juvenile dependency case, or about how to retain your parental rights in court, contact a juvenile dependency lawyer at Yanez & Associates today. We offer free initial consultations to new clients - schedule yours today. 2 Why Does Juvenile Dependency Court Exist? 3 How Does a Juvenile Dependency Case Start in Orange County California? 3.1 So, what constitutes child abuse or neglect? 3.2 How are child abuse or neglect reported? 3.3 What happens when a report is made? 4 What Can I Do if My Child is Removed from My Home and placed in the Orange County Juvenile Hall? 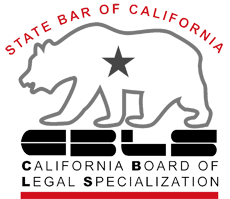 California Juvenile Dependency Overview, How Does a Juvenile Dependency Case Start in Orange County California?, juvenile defense, Juvenile Dependency, Orange County Juvenile Dependency Court Lawyers, What Can I Do if My Child is Removed from My Home and placed in the Orange County Juvenile Hall?, What Can I Do if My Child is Removed from My Home?, Why Does Juvenile Dependency Court Exist? Will my child be tried in Juvenile Court, Orange County CA?